Royal Caribbean Cruises Ltd. today announced fourth quarter 2011 net income of $36.6 million, or $0.17 per share, versus $31.9 million, or $0.15 per share, in 2010. Revenues improved to $1.8 billion in the fourth quarter of 2011 compared to $1.6 billion in the fourth quarter of 2010 as a result of capacity increases and yield improvements. Net yields increased 3.5% on a constant-currency basis (+3.2% as-reported.) Net cruise costs, excluding fuel, increased 3.7% on a constant-currency basis (+3.6% as-reported.) Bunker pricing for the fourth quarter was $609 per metric ton and consumption was 342,000 metric tons. Absent changes in currency exchange rates and fuel pricing, all operational metrics for the fourth quarter were in-line with or better then the company's previous guidance. Also included in today's announcement was full year 2011 net income of $607.4 million, or $2.77 per share, versus $515.7 million, or $2.37 per share, in 2010. Revenues improved to $7.5 billion for the full year of 2011 compared to $6.8 billion for the full year of 2010 as a result of capacity increases and yield improvements. Net yields increased 2.4% on a constant-currency basis (+4.1% as-reported.) Net cruise costs, excluding fuel, increased 1.3% on a constant-currency basis (+2.3% as-reported.) Bunker pricing for the full year was $582 per metric ton and consumption was 1,314,000 metric tons. Versus the full year guidance the company provided in January 2011, we estimate that geopolitical events and fuel pricing negatively impacted earnings by approximately $0.65 and $0.20 per share, respectively. The company provided the following update on the demand environment for 2012. Because the tragedy in Italy is having such a significant near term effect on bookings and because that impact on the company's earnings is so uncertain, the company first described the situation prior to the event and then discussed the possible consequences. Earnings Guidance: Taking into account the high degree of uncertainty surrounding current booking patterns, current fuel pricing and currency exchange rates, and the factors detailed above, the company anticipates 2012 earnings to be in the range of $1.90 to $2.30 per share. Outlook Pre-Costa Concordia: Booking patterns at the end of 2011 were strong and WAVE season was off to an excellent start, according to Royal Caribbean. During the two weeks prior to the tragedy, bookings averaged 5% more than the same period last year and at higher prices. Booked load factors and pricing were ahead of the same time last year in all four quarters. Firstly, the company made some changes related to its International distribution system in 2011 which carry on into 2012 and will increase yields by about 130 basis points. The changes also increased expenses, but the bottom line impact is not material. Secondly, the company has increased its commitment in certain deployment initiatives which increase revenues but also increase related expenses. For example, China represents a strategic market initiative the company is augmenting significantly. Altogether, these factors are expected to cause both net yields and net cruise costs for the full year 2012 to increase approximately 200 basis points and 300 basis points, respectively. Absent these factors, the company estimates that its "normalized" net yield growth would have been in the range of 2% to 4% on a Constant-Currency basis. Impact of Costa Concordia: Royal Caribbean stated that i is very difficult to assess the impact of the incident on our revenues. It has been the subject of extensive media coverage and world-wide attention. In addition, we curtailed our marketing activities as did most cruise lines and travel agencies. We believe that most observers and potential guests understand that cruising is safe and that this incident was a very rare anomaly in an otherwise reliably safe vacation. But in the near term it has a significant impact on our bookings. We are pleased to note that there has been no material change in cancellation activity which has remained within normal levels. However, new booking activity has been hurt. Overall booking volumes from North America have fallen by low to mid-teen percentages versus same time last year for the last few weeks. In Europe, where media coverage has been more extensive, the decline has been higher, though results vary significantly by country. In aggregate the company's other markets, including Asia/Pacific and Latin America are down slightly. For the year as a whole, notwithstanding the recent slowdown, booked load factors and pricing are still higher than they were at the same time last year. This reflects the very robust starting position the company was in before the incident. The impact on bookings has been greatest in the first three quarters and wanes as the year progresses. On the other hand, the first quarter also has more of its capacity booked making it less affected by changes in booking patterns. Spring and summer sailings are showing the largest declines in new bookings, while longer term bookings remain healthy. 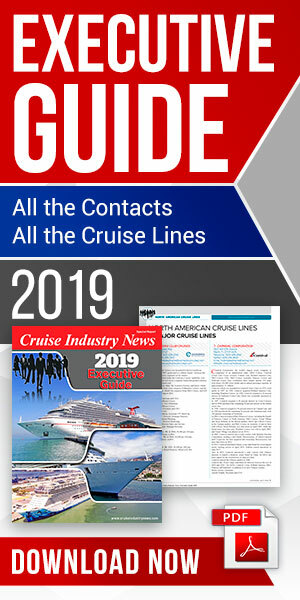 In addition, the company noted that the impact is much greater for first time cruisers compared to experienced cruisers. This reflects the greater knowledge experienced cruisers have about cruise vacations and ships. Including the contribution from distribution changes and deployment initiatives noted above, the company currently anticipates yield improvement for the full year 2012 to be in a range between 1% and 5% on a constant-currency basis and between flat and 4% on an as-reported basis versus the prior year. Already, bookings have started to recover, particularly in North America and the company does not expect that this event will have a significant long term impact on its business. For Q1, the company's booked load factors were already very strong prior to the incident. Subsequently, the quarter experienced a big percentage decline in new activity, but the bookings already in hand mean the company still expects yield improvements of 5% to 7% on a constant-currency basis (+4% to 6% as-reported basis.) This estimate includes approximately 300 basis points relating to the previously referenced distribution and deployment items. "We are still on track to achieve our original projections for the first quarter, but there is a high degree of uncertainty and it is difficult to judge the impact of the tragedy on the balance of the year," said Brian J. Rice , executive vice president and chief financial officer. Rice continued, "We have clearly lost some of our positive momentum in the short term. Fortunately, we had a very strong order book before the tragedy; our brands are back in the market advertising and we do not expect any significant long term impact to our business."